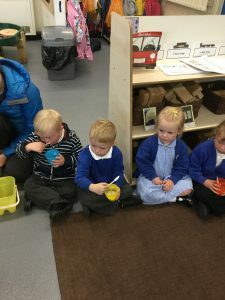 On the last day before half term, Nursery enjoyed another day of outdoor activities. 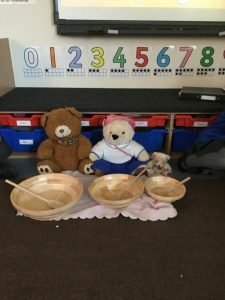 We were joined, at the end of both sessions, by the 3 bears who happily shared their porridge with us. 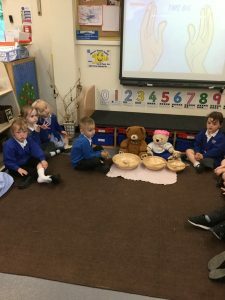 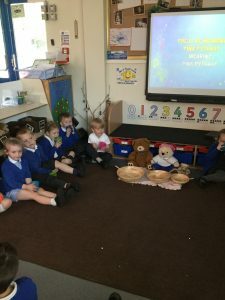 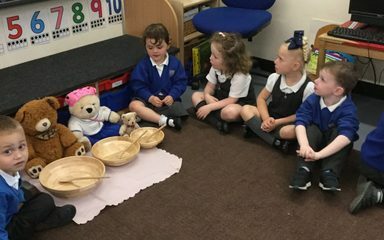 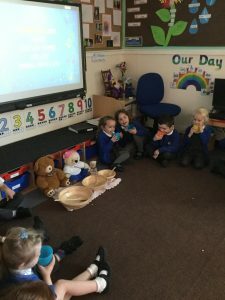 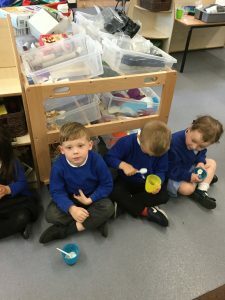 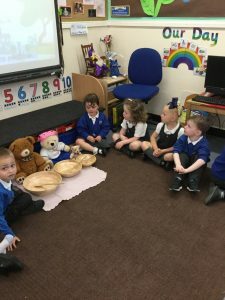 While the porridge was cooking we listened to the story of Goldilocks and the 3 bears and decided Goldilocks didn’t do the right thing going into someone else’s house. 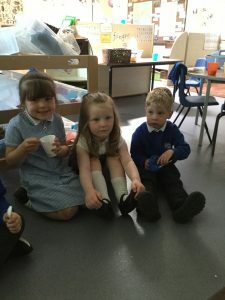 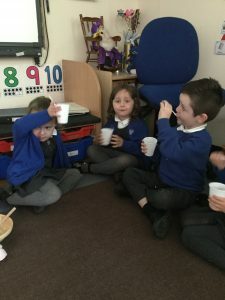 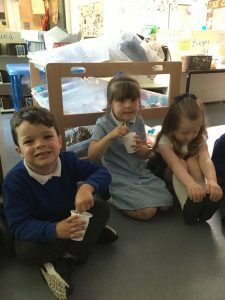 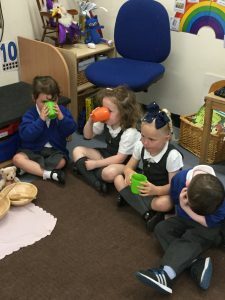 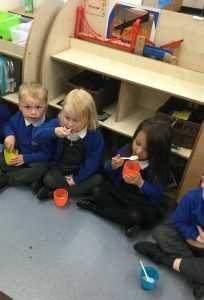 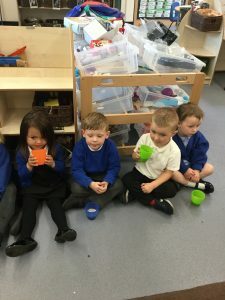 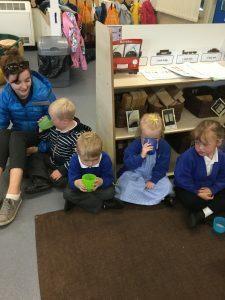 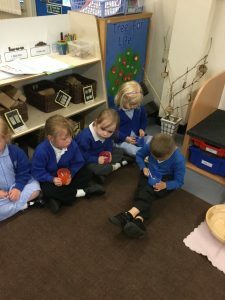 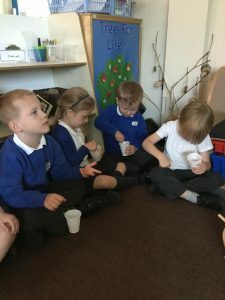 We also enjoyed baby bear’s favourite hot chocolate to drink.